Home / Samsung J7 Nxt Frp Lock Skip 2018 Patch Level 2018 Protection Lock. 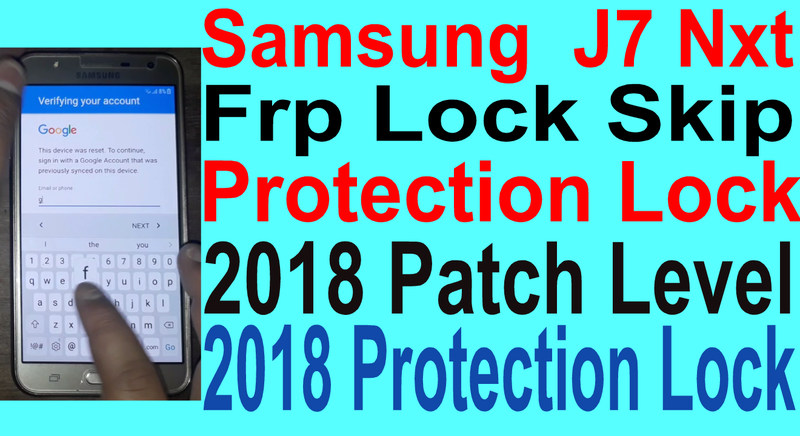 / videos / Samsung J7 Nxt Frp Lock Skip 2018 Patch Level 2018 Protection Lock. Samsung J7 Nxt Frp Lock Skip 2018 Patch Level 2018 Protection Lock. SAMSUNG J7 Nxt SKIP FRP 2018 PROTECTION REMOVE REQUIRED FILE. 1# Download Quick Short CutMaker Apk. 2# Download GSM SOLUTION APK. SAMSUNG J7 Nxt SKIP FRP 2018 PROTECTION REMOVE METHOD. 2# Click Home buttion 3 time. 18# Disable google account manager. 22# Go to sofwer setting and enable devloper mode. 23# Go to devloper and enable oem unlock. 24# Now your phone full factory reset. 25# Few mins waiting now your phone frp remove complite.